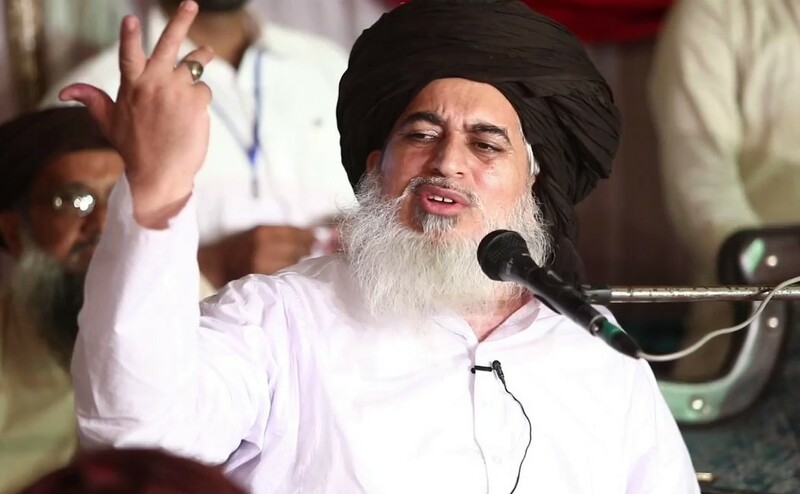 LAHORE: Few days after an anti-terrorism court issued his arrest warrants, fiery cleric Khadim Hussain Rizvi of the Tehreek-e-Labbaik Ya Rasool Allah (TLYR) along with hundreds of his devoted followers on Monday once again came out on the roads while giving yet another deadline to the government for the implementation of the Faizabad agreement. A six-point agreement was made between the government and TLYR on November 27 last year that had resultantly ended the 21-day long Faizabad sit-in of the TLYR activists in the federal capital. On Monday, hundreds of TLYR activists staged a sit-in outside the Data Darbar shrine and blocked the main roads in order to build pressure on the government for the implementation of the Islamabad agreement. Addressing the participants of the demonstration, Rizvi said that he was giving a deadline to the government till Wednesday; otherwise, the spectrum of sit-ins would be expanded to the whole country. “It is wrong to say that we caused any sort of provocation during our sit-in. If any provocation was caused, it was from the government side as our camps were set on fire by the police and tear gas was also fired,” he said while adding that no one was more patriotic than he himself. “Wasn’t it terrorism when Pakistan was dismembered in 1971?” Rizvi asked while adding that he was being labelled a terrorist, a thief, dishonest and absconder. He further added that the government was not showing any seriousness regarding the implementation of the Islamabad agreement as it had promised to issue the Raja Zafarul Haq report within a month but three months had passed and the report was nowhere to be found. It is pertinent to mention here that Rizvi has been declared an absconder while his arrest warrants have also been issued by the ATC. The Supreme Court has also made strict observation against Khadim Rizvi in the suo motu case pertaining to the Faizabad sit-in. Hundreds of Rizvi’s devotees had staged a 21-day long sit-in outside the federal capital against the attempt of the government to change the declaration regarding the finality of prophethood in the Election Act 2017. Moreover, the country had almost come to a standstill when thousands of TLYR’s activists had launched country-wide demonstrations in the aftermath of the operation, against the protesters in Faizabad, by the law enforcement agencies (LEAs). 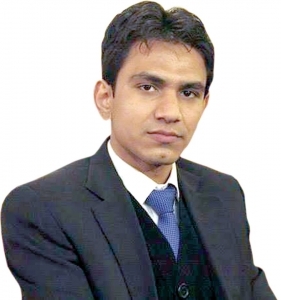 Speaking to Pakistan Today, Sheikh Azhar Rizvi, the candidate of the TLYR from NA-120, who by the way grabbed considerable votes in the by-election of the constituency, said that there was a mala fide on the part of the government in the issuance of the arrest warrants of Khadim Rizvi as it was part of the agreement that all the cases launched against Rizvi and TLYR workers would be quashed within a month. “The government is once again inciting our religious sentiments through such tactics that would have drastic consequences in the near future,” Azhar said. According to reports pouring in from different parts of the city, the TLYR activists are mobilising their cadres for sealing off the main entry and exit points of the provincial capital. The provincial government is yet to come up with its strategy in this regard.